In many ways Cape Town is a city of contradictions – a strong urban heartbeat, cradled in the folds of spectacular natural beauty. It’s one of the few cities in the world where you can lose yourself in wild wonder on any number of hiking trails during in the day, only to be spoiled for choice with an astounding array of restaurants, bars and clubs to discover at night. There is just so much to do! And there are many lists of the Sights you should visit but this Blog is aimed at showing you a few activities in Cape Town. Drive to Cape Point to see Baboons, Birds and ocean. 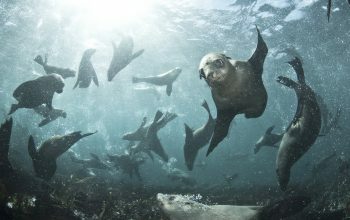 Get up close to some of the world’s most playful, curious creatures with this seal snorkelling tour to Hout Bay’s seal island. Swimming is a requirement, but no diving experience is necessary; wetsuits provied, and all the kit necessary to spend an hour playing in the clear cold water with these highly intelligent and endlessly entertaining dogs of the sea. Seal Snorkelling is possible throughout Cape Town’s long summer, but between mid-March and April is especially good, as the seal pups have just learned swim and are starting to play and explore in their watery territory. For those who just want watch the seals from the comfort and dryness of the boat, we cater for you too! Of all the things to do in Cape Town, this is the best !! 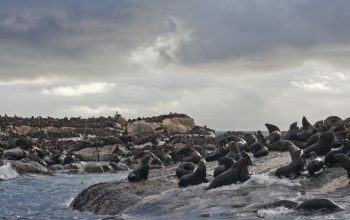 Keywords: Seal Snorkeling, Things to do in Cape Town, Cape Town Activities. Now that you’ve seen Cape Town from the air, it’s time to check out the lay of the land from the sea. Sure, boozy cruises are fun, but getting right up close to magical marine life during a self-propelled kayaking session is way more memorable. 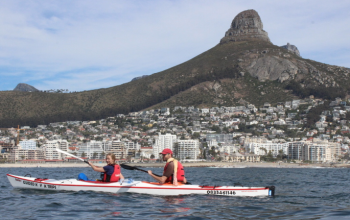 Heading out into the Atlantic Ocean from Three Anchor Bay, you will be taken on a 3 – 5km paddle toward either Granger Bay or Clifton Beach. The Clifton Beach route will provide breath-taking views of Table Mountain, Lion’s Head, Signal Hill and the 12 Apostles, while going in the direction of Granger Bay, highlights include the Green Point lighthouse and RMS Athens wreck. You can also expect to see a wide variety of creatures, including the rare Heaviside dolphin. Due to their diminutive size, triangular dorsal fins and straight noses, these fun-loving Cetacean are often mistaken for porpoises. They are endemic to Southern Africa, found in the Atlantic waters off the coast of Namibia and the west coast of South Africa. 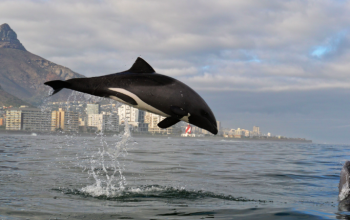 Of all the things to do in Cape Town, this is the best way to see wild dolphins !! Age limit: All ages welcome, however, weight may prove to be a problem as those over 100kg may find kayaks slightly uncomfortable. Young children should also be accompanied by adults. Get as close to the freedom of bird flight as possible by investing in a tandem paragliding experience. Most operators launch from either Lion’s Head or Signal Hill, depending on weather conditions and wind direction. Flights vary in duration, lasting anything from 15 – 30 minutes, with touch-downs typically taking place on the rolling lawns of Sea Point’s promenade. Age limit: All ages welcome – from toddlers to centenarians. 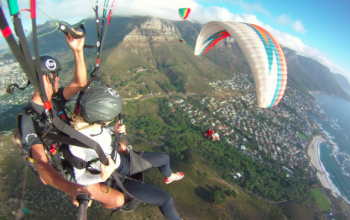 In 2015 a Cape Town grandmother made headline news by celebrating her 100th birthday with a paraglide! Price: Budget for around R1 200 for a flight alone and R1 500 with video footage. Operators to try: There are a huge variety of operators working in Cape Town. 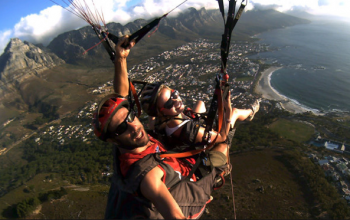 A few of the top ones include Cape Town Tandem Paragliding, Parapax and Fly Cape Town Paragliding. Life is about experiences. Make your Cape Town experience unique by getting in touch with the natural beauty of the Mother City’s wilderness. Guided by a local marine biologist you’ll learn to see the small stuff, not sweat it. Your day tour will take you to the regular spots, plus a few places out of the ordinary. 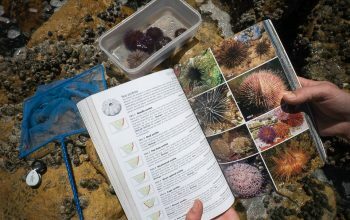 Of all the things to do in Cape Town, this is the best way to learn from a local and go deeper into the peninsular that any other way. Keywords: Rockhopper Tours, Things to do in Cape Town, Cape Town Activities. 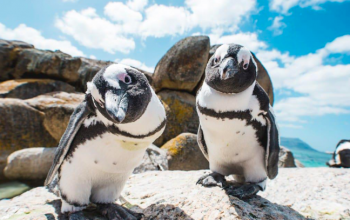 Arguably one of Cape Town’s most unique attractions, Boulder’s Beach offers visitors the opportunity to hang out with African penguins in their natural habitat. Forming part of Table Mountain National Park, you can access the beach via a network of well-maintained boardwalks. What many people may not know is that there are two entrances – the main one where most tour buses stop and then a smaller one close to Boulders Beach Lodge. This second entrance is ideal for those looking to skip the crowds and provides perfect snorkelling conditions. Age limit: All ages welcome. The boardwalks also make it a wheelchair-friendly outing. 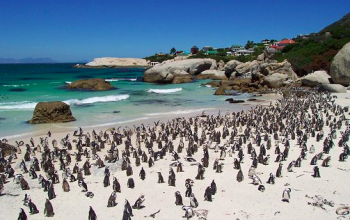 Keywords: Boulders Beach, Things to do in Cape Town, Cape Town Activities. Table Mountian is amazing and you will want to go up its slopes during your Cape Town visit. Towering 1086 meters over Cape Town, and around 500 million years in the making, Table Mountain is a playground for nature lovers and outdoor enthusiasts alike. Once an island, now boasting more plant species per square kilometer than a tropical jungle, this flat-topped monolith begs exploration. Trails run the length and breadth of the mountain, offering exceptional hiking for all levels of experience and fitness. 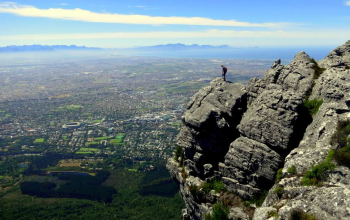 Whether you’re looking for adventure or solitude, nature or views, a hike up Table Mountain is not to be missed. You can do it by yourself but we recommend a guide as this is a serious mountain with consequences if you get lost, tired or cold, best to do the hike with people who now the mountain. It will be the best way to experience the highlights of the mountain in the short time you have in Cape Town. 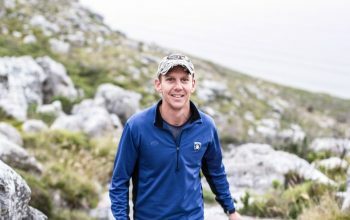 Please check out BookMundi for more great information on some of the most popular hiking trails – Skeleton Gorge, Platteklip Gorge, India Venster Trail and many more. If your looking a guide check out Hike Table Mountain as the ones to show you Cape Town’s main attraction. 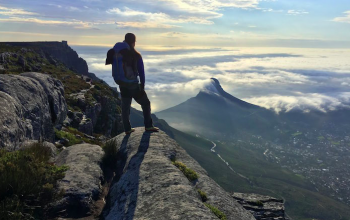 Hike Table Mountain – A passion for nature and mountains coupled with a commitment to service excellence lies at the heartbeat of what we do, ensuring you get the ultimate mountain experience. We pride ourselves on being flexible, competent, attentive and enthusiastic. As qualified and highly experienced mountain guides with a sound knowledge of the environment, we respect nature and never skimp on safety. 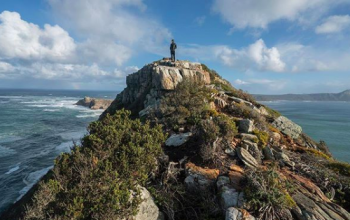 We offer half- and full-day hikes and climbs tailored to your needs and interests, from leisurely strolls on Table Mountain’s summit to adventure ascents off the beaten track. Keywords: Hike Table Mountain, Things to do in Cape Town, Cape Town Activities. 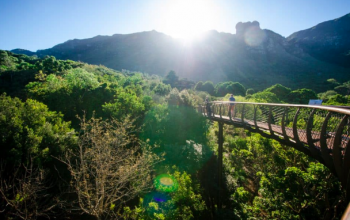 Considered to be the flagship among South Africa’s 10 national botanical gardens, Kirstenbosch offers guests a world of wonder and delight, whether you’re into botany or not. Resting along an eastern slope of Table Mountain, the garden is home to a magnificent array of flora, with a strong emphasis on indigenous species. With shady nooks a-plenty and large patches of lawn, it’s the perfect spot for a picnic – although you may have to share your snacks with a cheeky guinea fowl or two. While you’re in the garden, be sure to check out the magnificent Centenary Tree Canopy Walkway, affectionately known as the ‘Boomslang’. The 130m walkway mimics the elegant shape of a slithering snake. Located in the arboretum section of the garden, it takes visitors from the forest floor into the lush treetop foliage, culminating in a viewing deck offering panoramic vistas of the Cape flats and Southern Suburbs, before curving gently downward again. As the name suggests, it was erected in celebration of the garden’s 100th anniversary in 2013 and officially opened to the public in May 2014. Age limit: The garden is highly accessible to all ages, with even the Boomslang being wheelchair friendly. 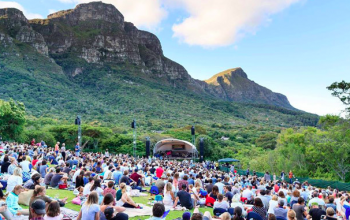 Keywords: Kirstenbosch Gardens, Things to do in Cape Town, Cape Town Activities. Your time in Cape Town cannot be considered complete, if you don’t make your way to the furthest outcrop of the peninsula. 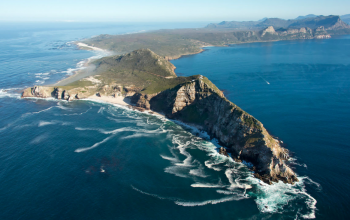 There is a common misconception that Cape Point is the spot where the Indian and Atlantic Oceans collide. While this is not the case, it is still a place of spectacular extremes – invigorating and pristine. The most commonly-visited attraction in this section of Table Mountain National Park is the old lighthouse, which undoubtedly offers the best vantage point for panoramic ocean views. However, there is much more to the area. During your visit, be sure to check out Olifantsbos beach – the first turn-off on your right after entering the park – where a freshwater stream attracts an array of wildlife, offering you the opportunity to spot bontebok, baboons and ostriches, among others. Keywords: Cape Point, Things to do in Cape Town, Cape Town Activities.